which all landline users will get a free broadband trial with up to 8Mbps speed. As for its eligibility, new users won’t be able to avail this offer as it is only limited to existing BSNL landline users. 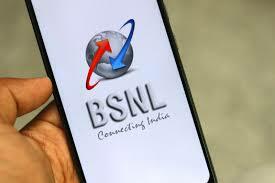 After the offer expires, users will need to select their preferred BSNL broadband plan to continue the services, however, if a user doesn’t select the plan, he or she will be automatically upgraded to the BB BSNL CUL plan. For the unknown, the BB BSNL CUL plan comes with 1.5GB of daily data at 8Mbps and after the data limit, the speed is reduced to 1Mbps. On the other hand, there is also a monthly rental of Rs. 299 while users also have to pay Rs. 500 as the security deposit. The BB BSNL CUL plan also comes with free voice calling benefit for making calls on the BSNL network across the country while you will also get Rs. 300 worth of free calling to other networks in India.